WHY IS BUOYANCY CONTROL IMPORTANT? Do you ever wish you can glide effortlessly underwater? You’re not alone, many newbie divers struggle to stay neutral. It’s not an easy task and takes practice – that’s why today we’re going to give you our top tips to improve buoyancy control. 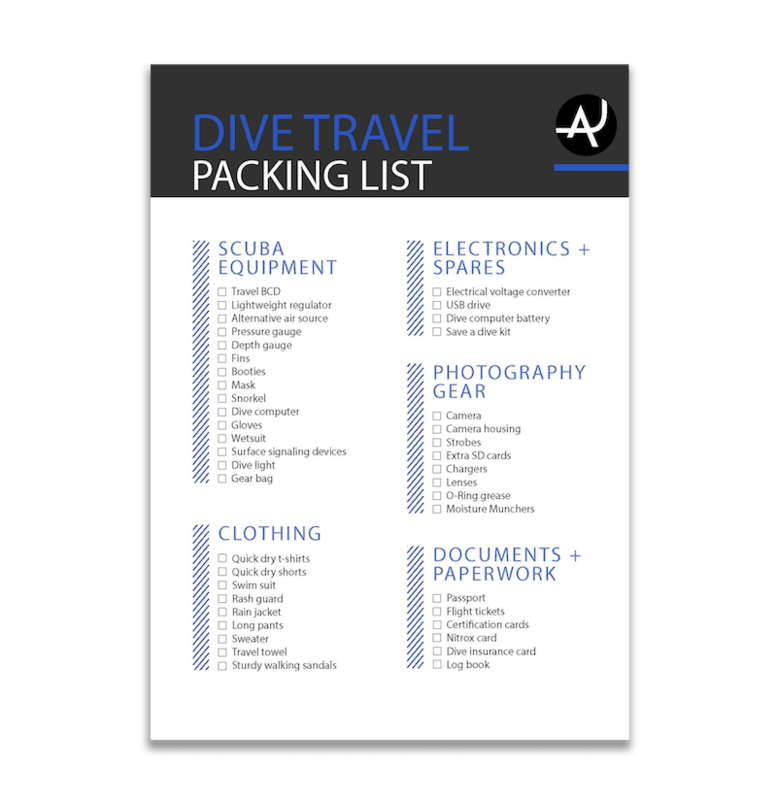 One of our big goals here at The Adventure Junkies is to help make your experience underwater the best it can be. 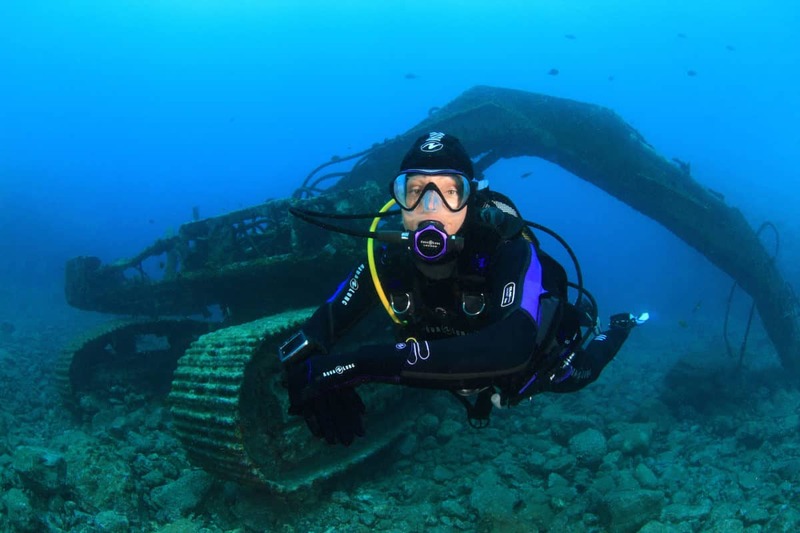 Learning to master your buoyancy will make you a better scuba diver – you’ll have more control over yourself and become more confident underwater. The first step to improving your buoyancy is to recognize why it’s so important in the first place. As you learned in your open water scuba course, divers aim to be neutrally buoyant. This means, while you’re diving, you don’t float up to the surface and you don’t sink down to the bottom. 1. Protects both you and the marine environment. If you don’t have control over your buoyancy, you could crash into delicate corals or land on a sea urchin. 2. Improves your air consumption and reduces fatigue. When you’re neutrally buoyant, you don’t have to work so hard to maintain your position in the water. 3. Helps you control your ascent and decent rates which will decrease your risk of decompression sickness. 4. 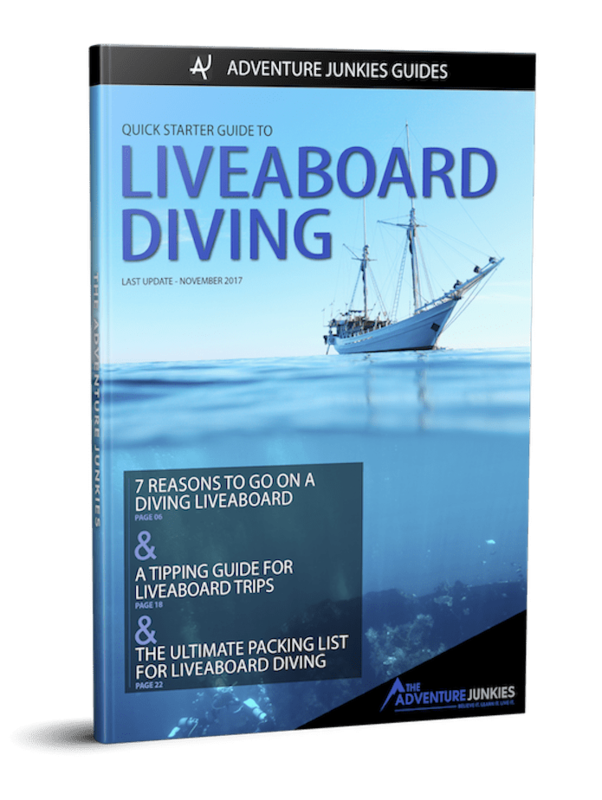 Increases your confidence in the water and massively improves your overall diving experience. If you have ambitions to become a wreck or cave diver, mastering your buoyancy is a top priority. Since this type of diving requires you to go into overhead environments, you can’t risk hitting your head or stirring up a bunch of silt in a cave. To master any skill, you need to know the fundamental principles. Perfect buoyancy is the art of finding the perfect balance, like performing a hill start in a manual transmission car. The balancing of the forward movement through the accelerator, with the weight of the car pulling you back, using the clutch and handbrake, is no different to finding the perfect buoyancy. In the water your body displaces the surrounding liquid, exactly like when you sink in a bath and the water level goes up. Your body is pushed up by a force equal to the weight of the water your body is displacing. Neutral buoyancy is the point where the weight of your body and all its equipment pushing you down is equal to the weight of the water your body has displaced, it’s a fine balancing act. There are four keys to perfecting buoyancy: trim, weighting, breathing, and BCD use. Master all four and you too will become a master of buoyancy. Trim is a flat and steady position in the water, also known as the prone position. To achieve this, you need to be in the most efficient position in the water: body completely flat, with the knees bent at 90 degrees, and your fins pointing backwards. This position is ideal since you present the least surface area, which leads to the most streamlined position. When combined with proper frog kicks, this position allows you to simply kick and glide with all the power from your kick strokes being directed backwards. Proper weighting is the second key to perfect buoyancy. Many novice divers are too heavy underwater. All the extra weight they are carrying means they must compensate for it by putting air into their BCD. It is much better to drop those extra pounds and dive with the correct weight. To find out if you are weighted correctly, follow this simple check. On the surface, you should float at eye level with a totally empty BCD. When you inhale, you should rise out of the water, and when you exhale deeply, you should sink until your eyes are submerged. Adjust your weights and perform weight checks until you are perfectly weighted. 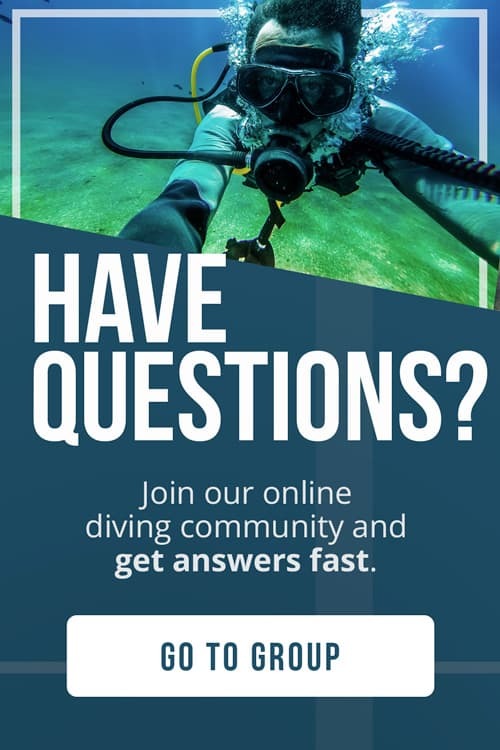 Check out Sport Diver’s buoyancy calculator to help determine how much lead you need for your dive. Once you’ve started to get a feel for neutral buoyancy, you’ll need to bring your lungs into play. Using your lungs, you can make minor buoyancy changes without the need to inflate or deflate your BCD. When you breathe in and out, you are effectively adding or taking air out of your overall buoyancy balance. If you want to drop a little in the water, just exhale a little more than normal. On the other hand, if you want to rise in the water column, then inhale a little more deeply than usual. In either case, once you’ve executed the manoeuvre before returning to normal breathing, you’ll maintain your new position in the water column. Divers should be aware they can’t keep repeating this process endlessly, eventually they’ll have to adjust the buoyancy in their BCD by either inflating or deflating. When practicing using your lungs for buoyancy control, it is vital to remember the golden rule of scuba diving. Never hold your breath! Remember to breathe continuously. Learning to use your BCD perfectly does take some time, until you develop a ‘feel’ for it. The most important aspect to using a BCD is not to confuse the inflate and deflate buttons for up and down button respectively. It might sound counterintuitive to beginners, but they are the opposite! You add air as you descend to maintain neutral or slightly negative buoyancy, and you release air when ascending to maintain depth control and stay neutrally buoyant. The second mistake inexperienced divers make is pressing the buttons for too long. You should only use short presses of both the inflate and deflate buttons. Try for no more than about half a second of inflation and about a second of deflation. You can always repeat the press until you hit the point you want. Long applications in either direction will regularly take you past your neutral point, resulting in yo-yo diving, and force you to take corrective action. To better grasp what can be achieved, check out technical instructor trainer Mathew Partridge demonstrating the art of perfect buoyancy. 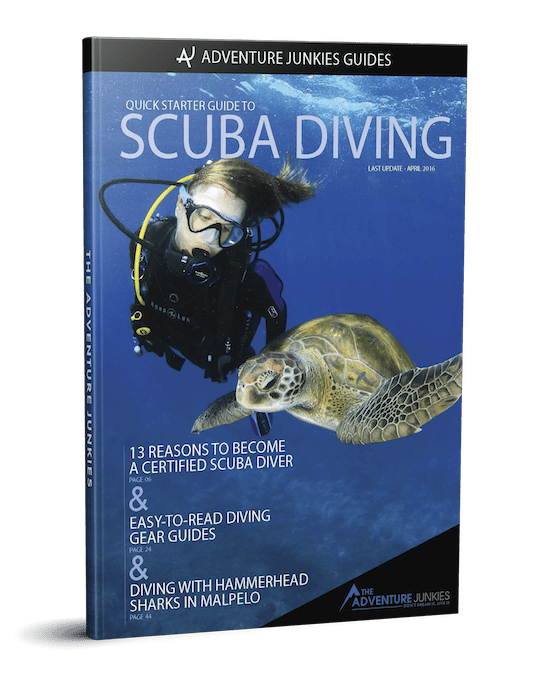 There are several things new divers can do to improve their buoyancy skill. What they need to remember is there are no quick fixes. Your buoyancy will improve very quickly at first, but it does take time and practice to truly become a master of buoyancy. 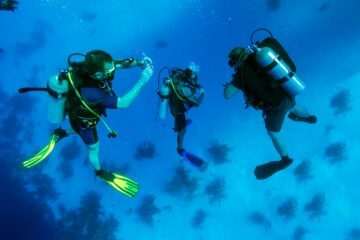 One of the first things you can do to improve your buoyancy in a day or two is to take a buoyancy improvement course, all major training agencies offer one. 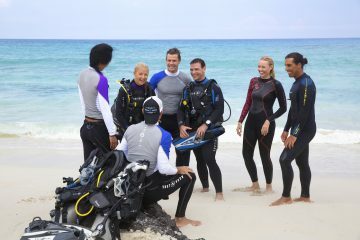 PADI has the Peak Performance Buoyancy speciality, while SDI has the Advanced Buoyancy course. Whichever agency you choose, you’ll find that most of courses follow a very similar structure. One of the biggest benefits is getting instruction hands on that is tailor-made for solving any of the issues you are having with buoyancy. A very common problem with novice divers is not being able to deflate their BCD properly, since they fail to keep the exhaust port of the corrugated hose as the highest point of the system. Thus, they end up going through the motions without actually deflating the BCD, because the air gets trapped. There’s a very simple solution to this: as the diver swims through the water, they should drop their right shoulder, raise their left and turn their head to the left. By rotating like this, two things happen even when swimming in a horizontal position. Firstly, the corrugated hose becomes the highest point of the BCD, helping to release air. Secondly, the diver can see the hose and will know for sure whether air is being vented out or not. Once divers have mastered using their inflator hose they should then graduate to using their shoulder and kidney dumps. By then, learning to use them properly is relatively easy since they have developed the ‘feel’ for buoyancy. Never has a saying been truer, especially when it comes to perfecting buoyancy. Like all motor skills, divers need time, patience, and more practice to truly perfect their buoyancy. It is best to practice in shallow water since minor changes can create big changes in buoyancy. Perfecting your buoyancy technique in the shallows will mean it is perfect everywhere.